I love the magic and wonder you can see in a child’s eyes when you read with them. Children inspire me, fascinate me, and make me laugh, and my hope is to return that favor with my storiesJ. 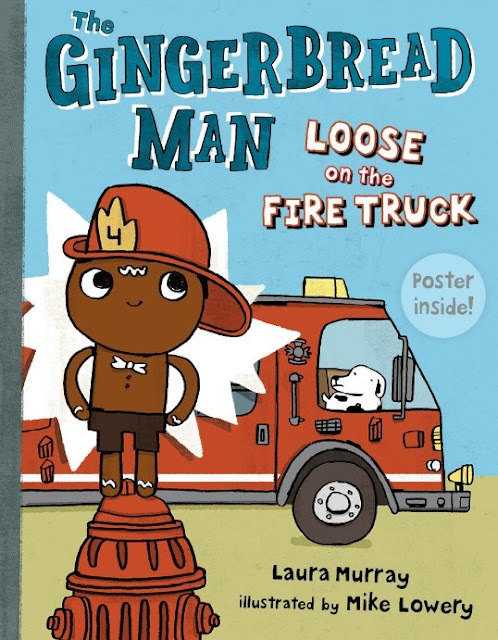 I’m often asked where the ideas for my books come from, but in order to chat about the idea for The Gingerbread Man Loose on the Fire Truck, I’ll need to explain how a Gingerbread Man ended up being part of a class in the first place. 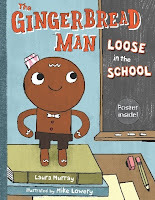 I was a teacher before becoming a writer, and The Gingerbread Man Loose in the School was inspired by my students and their love of chasing our own Gingerbread Man around the school. You see… at the beginning of each school year, we did a Gingerbread Man unit that culminated in our freshly baked Gingerbread Man escaping from the classroom. We hung missing posters and searched the halls, discovering crumbs and dropped candies, as we toured the school and asked school staff where he might be. But he always found his way back to our classroom on his own - one smart cookie! 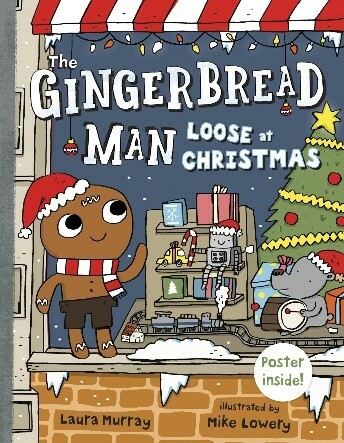 My students absolutely loved this unit and would come back years later asking if the Gingerbread Man had escaped yet. 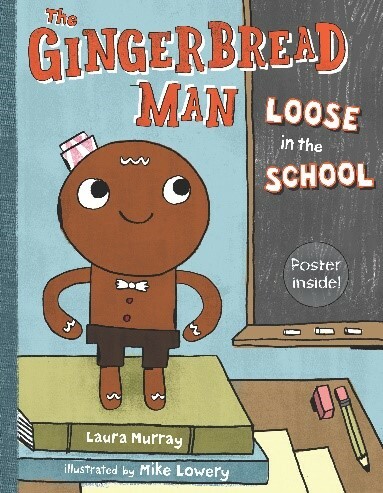 So I decided to write a new story that mirrored the fun we had chasing him at school - The Gingerbread Man Loose in the School. This book idea grew from our annual school Fire Station visit for October Fire Safety week. 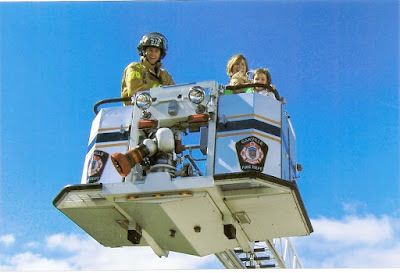 The students were always in awe, and the fire fighters were so friendly and genuine, letting the children try on their gear, explore the fire engine, honk the horn, and spray the hose. They also did an incredible job teaching the students about fire safety. I started to envision how much fun it would be to put the Gingerbread Man and his class in that setting and see what adventures might happen. 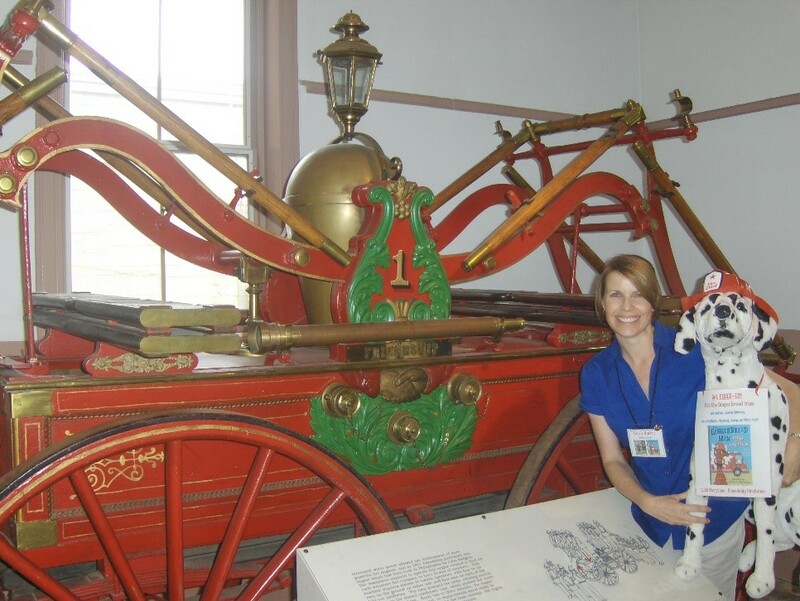 My research for the book was especially fun - I took a trip to the local fire station and was treated to a tour of all the fire fighting vehicles. I was able take pictures as well, which were used to help with the illustrations. Spot the Dalmatian and an old fashioned fire truck. 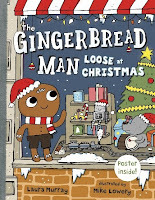 If you are reading this as a parent, ask your child, “Where do think you think the Gingerbread Man should go next?” Kids are always full of incredible, creative, and funny ideas, and it might just inspire them to write their own Gingerbread Man adventure! Information about the author: Laura Murray writes children’s books and lives in Northern Virginia with her 3 mischief makers (well…four, if you count her husband J) and her dog, Roxy. Her website, www.LauraMurrayBooks.com , includes a FUN STUFF page with children’s activities and printables. Book Summary: This smart cookie is back in a new adventure! On a field trip to the Fire Station, the Gingerbread Man falls out of a backpack and is discovered by a hungry, crumb-snatching Dalmatian. His escape route takes him up the fire pole, through the station, and inside the fire truck. But when the firefighters get a call, can you guess who races to the fire along with them? “I’ll put out that fire, as fast as I can.